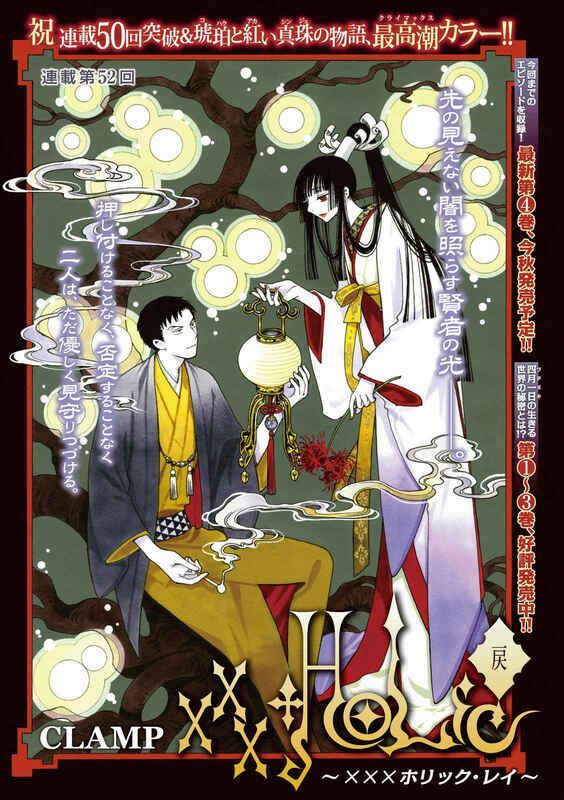 The release date for XXXHOLiC Rei Chapter 53 has been postponed from September 5 to October 31. 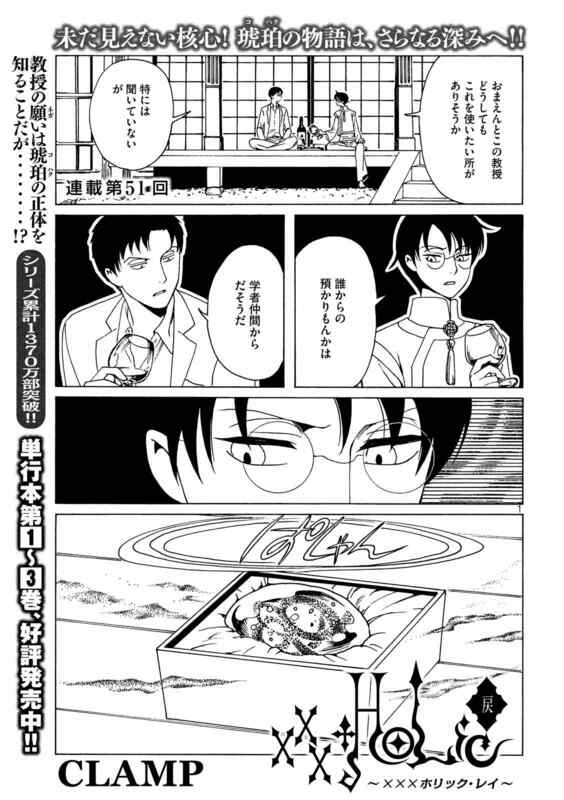 Earlier in that same month, on October 6, XXXHOLiC Rei #4 will be released. 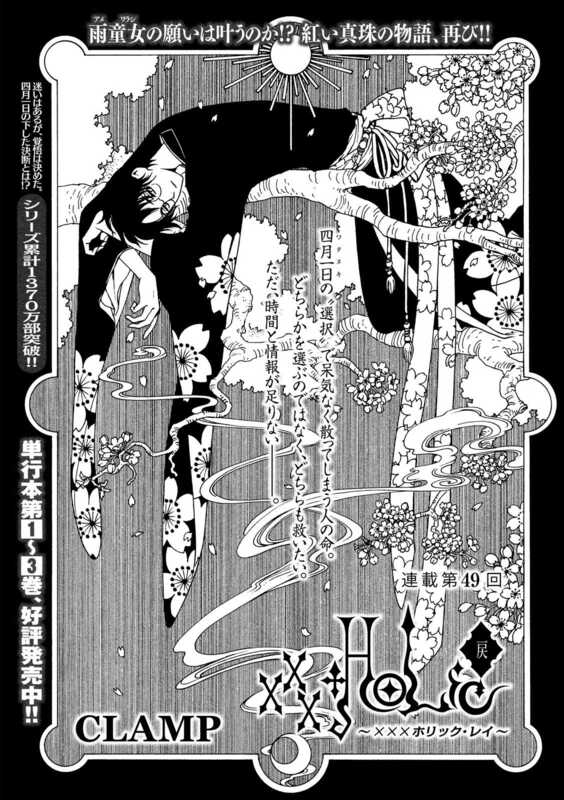 XXXHOLiC Rei #4 will be released on October 6 and apart from the regular edition, a limited edition is also planned and it will come with the Blu-Ray of the 2005 movie XXXHOLiC: Manatsu no Yoru no Yume (XXXHOLiC: A Midnight Summer’s Dream). The limited edition is up for pre-order at Amazon.co.jp for 5,400 yens. Source: Ota-Suke. Thanks to Tomoko for the heads up! This means that the next chapter is last one. Update: Chapter 51 is out and it’s not the last one. 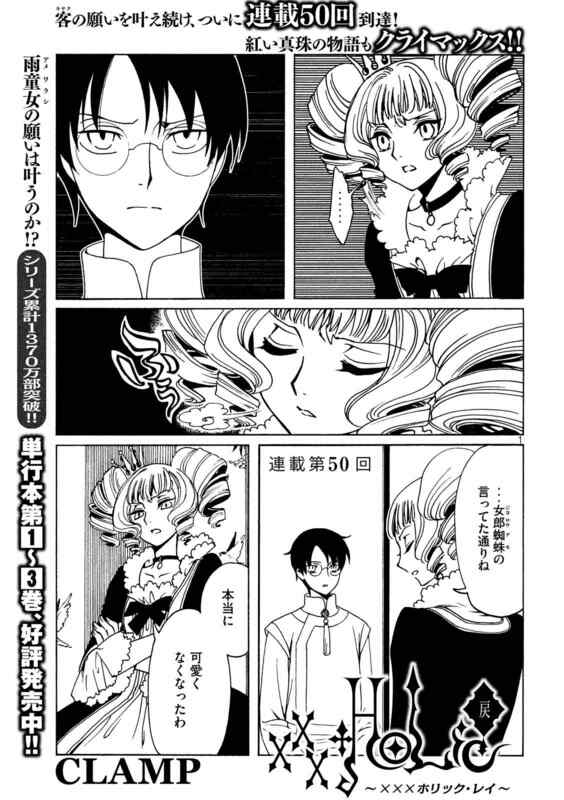 Considering CLAMP’s history of bringing back XXXHOLiC, this might not be the last we’ve seen of it, but it’ll be going off for a while at least. On another news, the release date of Tsubasa – WoRLD CHRoNiCLE – #3 has been pushed back to August 17th.